Every so often a knitter will come into the local yarn shop where I work and admire some of my crocheted samples (both my + others’ designs). They’ll ask if there is a way to create similar textures in knitting, and until now, there really wasn’t a good reference I could give them. 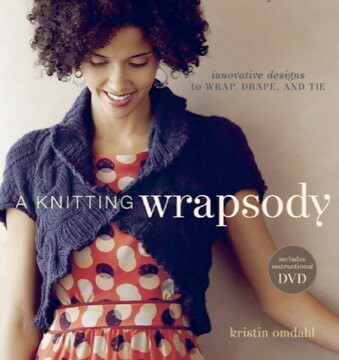 Enter Kristin Omdahl, who you might know as a crochet designer, and her latest knitting book: A Knitting Wrapsody: Innovative Designs to Wrap, Drape, and Tie . 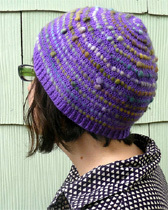 When Kristin, whom I met at TNNA last year, asked me to be part of her blog tour, it was easy to say yes. 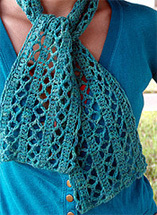 You might remember I crocheted her Sprout Shawl from Crochet So Fine, so I am already a fan. 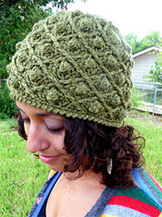 Each of her knit designs exudes her same signature style: drapey, soft, feminine, intricate, mathematical. simple. 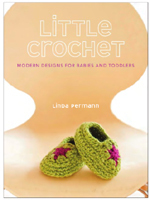 In this collection, she draws upon techniques from other crafts to inspire her knitting. There are a subtle differences in the way things are done between hooks and needles; some of these are simply because they are easier to perform with one tool than the other, but some things are probably just different because no one has thought to apply one technique to a different craft. 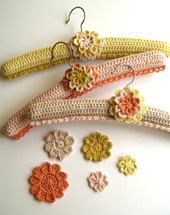 If you like the look of crochet but don’t know how to use both tools, worry not, because Kristin has figured out how to harness hook-like power with two pointy sticks. 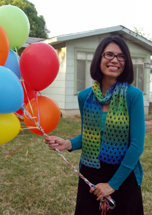 Check out this Melange Crochet-Look Scarf. 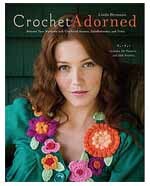 Okay, sure, the title was a dead giveaway, but it screams crochet to me. 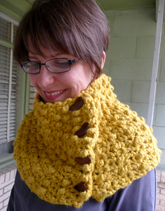 And you know I love to see knitting imitate crochet! 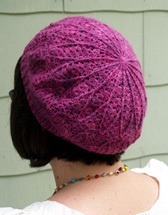 Reasons to knit it? You don’t know how to crochet, you don’t have a lot of yarn, you want to learn a new way of looking at similar techniques. 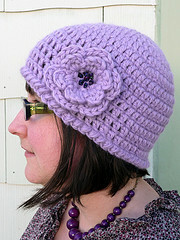 And of course, because it’s simple and pretty, and I can imagine it is quite fast to make. 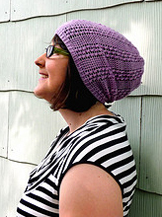 I also love the Echo Reversible Drop Stitch Mobius, with it’s gorgeously simple twists separated by strands of dropped stitches. 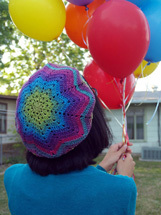 It’s a real celebration of what you can do with two of the most fun to work knitting techniques. 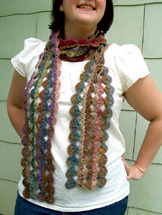 And it’s a project I’m confident that I can do (and will do, when I find the time)–and I’m mostly a “knit for fun and relaxation” type of knitter. The book contains a number of pretty projects that will open your eyes to different construction techniques, plus you don’t have to worry so much about fit since they are all shrugs, capes, scarves, wraps, and shawls. 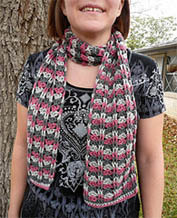 She employs techniques like motif-based constructions, intricate knit edgings and again explores one of her favorite themes, the infinity swirl. The book also includes a DVD where Kristin demonstrates her unconventional methods–making it easy to get the help you need to complete the projects. Be sure to check it out. 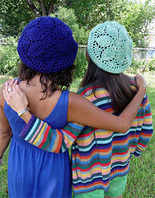 Tomorrow is the last day of the Kristn’s tour, head over to KnitPurlGirl for a further look into the book! 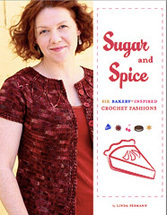 *disclosure: Interweave sent me a free copy of this book, book links are affiliate links.